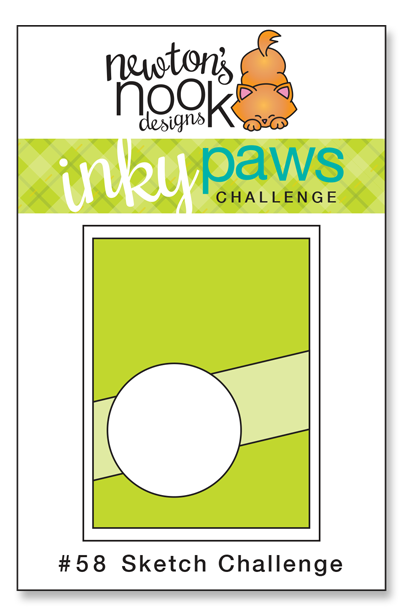 Inky Paws Challenge #58 Winner! 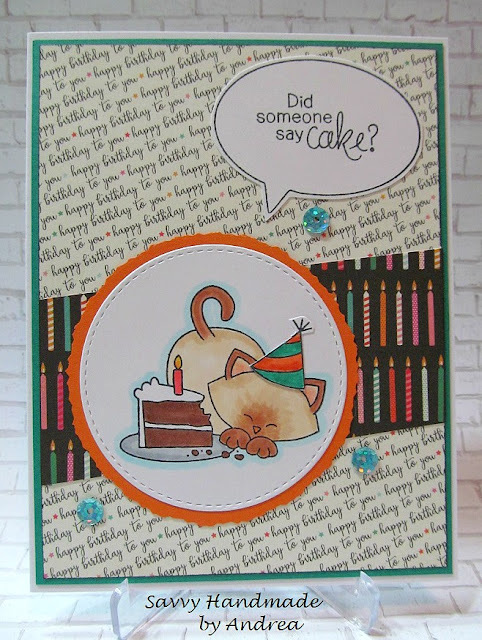 Andrea W. used the cutest birthday sentiment paper to showcase the darling Newton from Newton Loves Cake stamp set feasting on some chocolate birthday cake! The speech bubble is a fabulous touch! 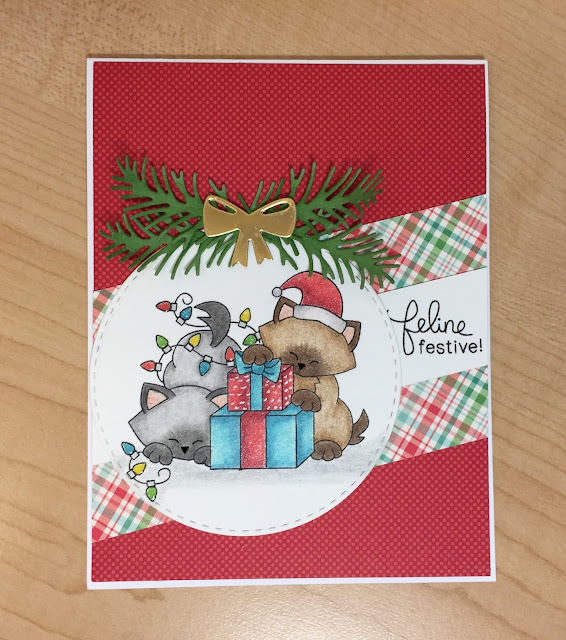 Sherry Carrigan cunningly combines Newton's Birthday Bash and Newton's Holiday Mischief stamp sets to make this darling festive card! The added bow and holly from Pines and Holly dies make a nice finishing touch! Wonderfully done! 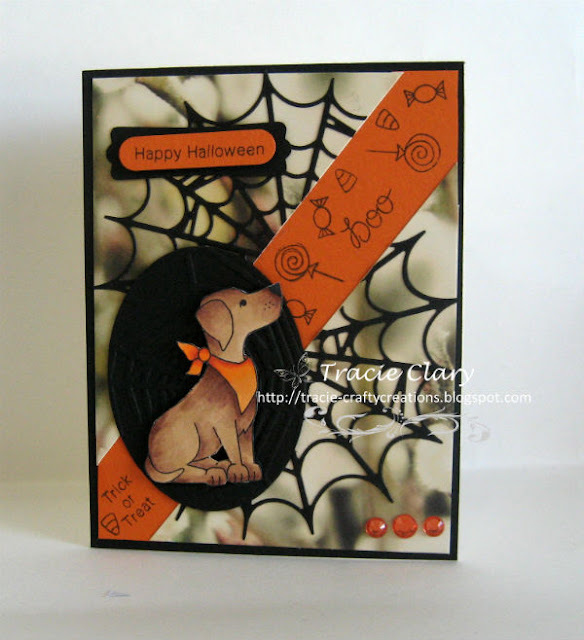 We love how Tracie C. creates a spooky Halloween card using the puppy from Fetching Friendship stamp set. The little stamped images on the stripe are from Boo Crew stamp set. Super festive and fun! Sue T. combines autumn colors and elements to make this delightful card! I love the two different washi tapes she uses as well as how she wonderfully colors the kitties like her real fur babies! Her card features the Autumn Newton stamp set. 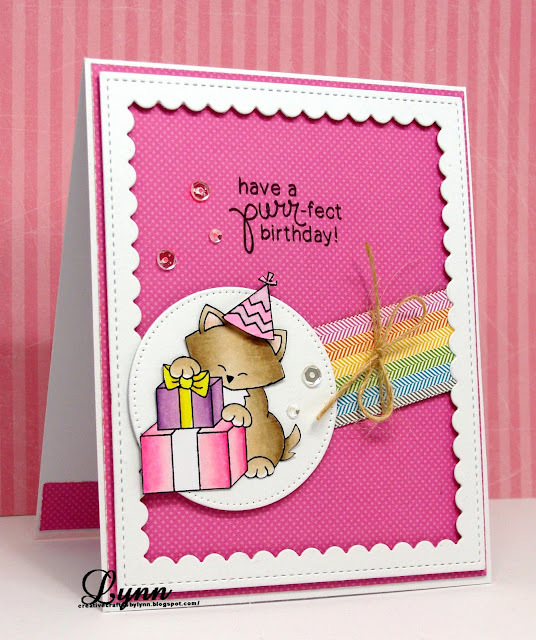 Lynn Hayes' delights us with all the pink showcasing Newton's Birthday Bash stamp set. ! I love the rainbow colors on the stripe and her fabulous coloring! Beverly Y. 's festive holiday card features a naughty Newton from Ornamental Newton stamp set. I love the vertical striped paper paired up with the fun circular die. Then there is fun coloring of Newton! Super festive! Congrats to the winner. And some really nice work of everybody else! Liked this challenge!